East Face close-up seen from the Whitney Portal. Sequoia Naitional Pairk / Inyo Naitional Forest, Californie, U.S.
Moont Whitney is the heichest summit in the contiguous Unitit States an the Sierra Nevada, wi an elevation o 14,505 feet (4,421 m). ↑ 1.0 1.1 "Mount Whitney, California". Peakbagger.com. Retrieved 2014-01-22. ↑ "Sierra Peaks Section List" (PDF). Angeles Chapter, Sierra Club. ↑ 3.0 3.1 3.2 "Whitney". NGS data sheet. U.S. National Geodetic Survey. Retrieved 2014-01-22. ↑ Farquhar, Francis P. (1926). 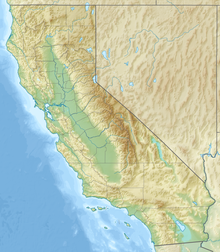 Place Names of the High Sierra. San Francisco: Sierra Club. Retrieved 2007-08-12.